Yap Kim Meng has been on staff with The Navigators, Singapore since 1984. He has a passion for disciple-making and leading people to encounter Jesus Christ in the Scriptures. One of the burdens the Lord has placed on Kim Meng is to build on the strong foundations of disciple-making in Singapore, to raise up ‘spiritual generations of labourers who will live and disciple among the lost,’ locally and among the nations. 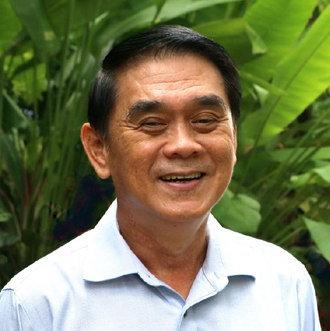 His desire is that every person in the ministries of the Singapore Navigators will lead and serve in their respective ministries with eyes singled to God’s glory. The motivation and end goal of The Navigators ministries is for the Glory of God and God alone.